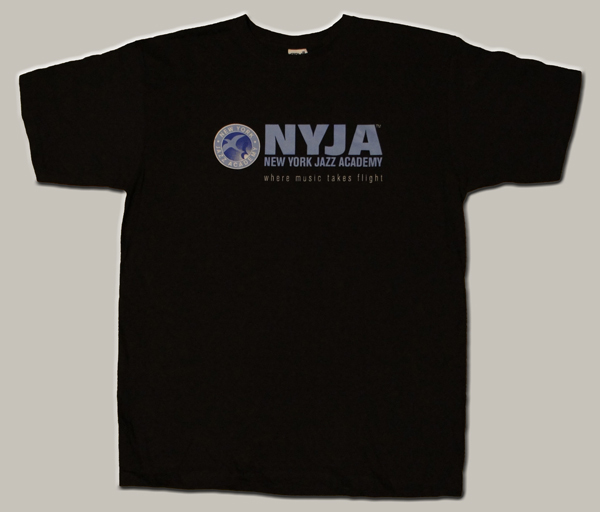 NYJA 2014 T-Shirts feature a new logo design and are silk-screened in 3-colors on the highest quality cotton T-shirts. 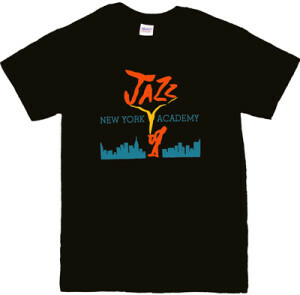 Perfect for any jazz fan. Shipping charges apply (view at checkout). International shipping options also available. 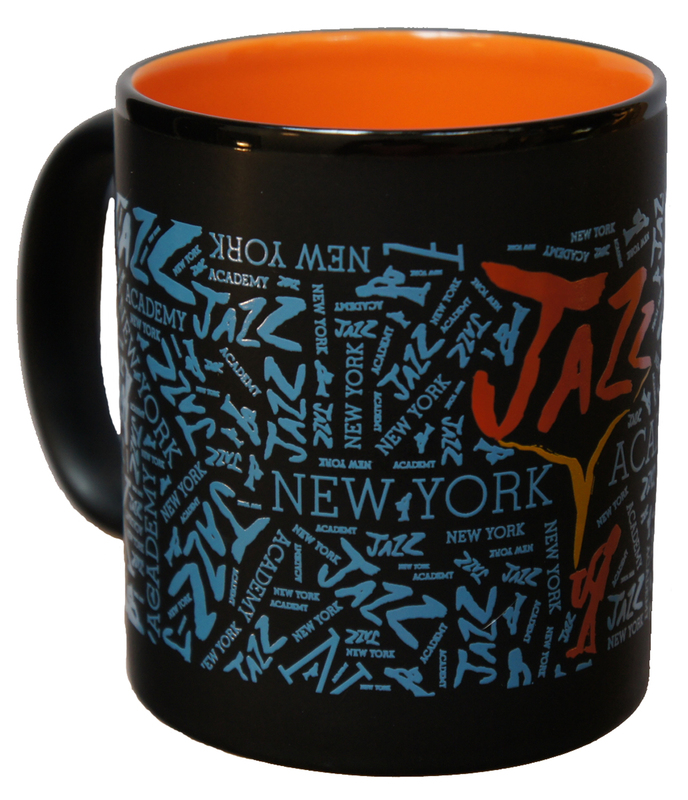 NYJA Ceramic Mugs feature a raised glazed finish in a singular artisan-style design that wraps around the entire mug. Bring some cool to your morning routine of hot coffee or tea! This mug is a hit with all music fans. Shipping charges apply (view at checkout). International shipping options also available. 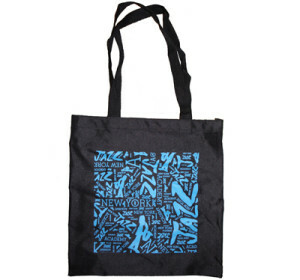 NYJA Tote Bags feature the most durable fabric with a stylish design that is integrated in a high-quality and customized silk-screening process. Do you love Jazz Music? 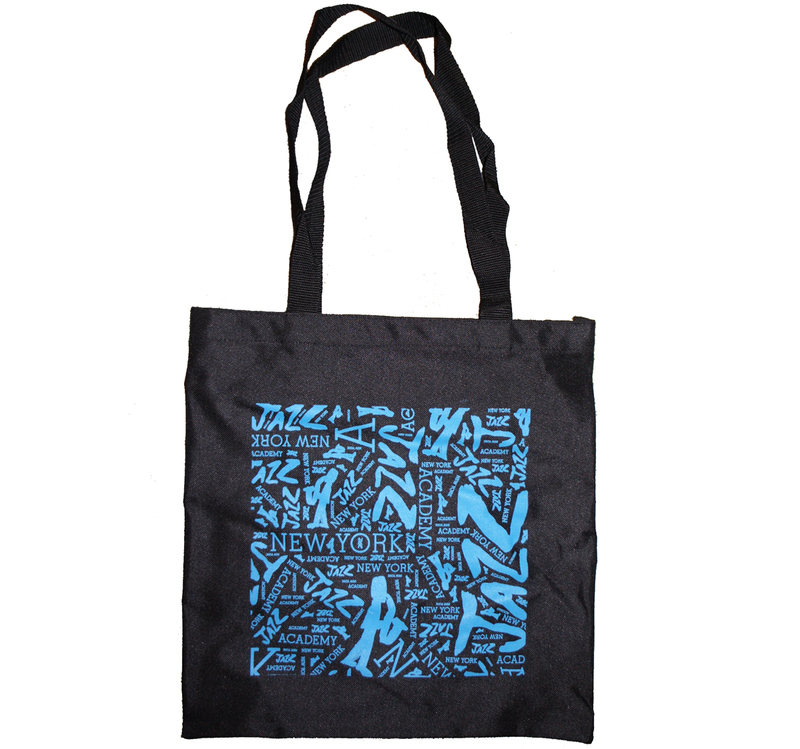 Then you need the most attractive tote bag we can possibly imagine. Not too big–the perfect size for carrying materials around town. Shipping charges apply (view at checkout). International shipping options also available. 80% Off Clearance Sale! Shipping charges apply (view at checkout). International shipping options also available. NYJA Gift Certificates Gift Certificates can be used for any and all NYJA programs! They can be redeemed for classes, lessons, ensembles, online classes, and annual membership. If you specify the recipient, the occasion, and the shipping address, we also will send a physical gift certificate via mail. If you need the gift certificate even sooner, no worries, we can also email you a PDF version for you to print. 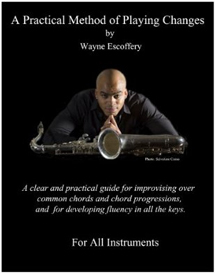 Wayne Escoffery – A Practical Method of Playing Changes “A Practical Method of Playing Changes” is a method book meant as a clear and practical guide for improvising over common chords and chord progressions, and for developing fluency in all the keys. 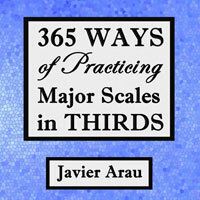 Many of the tools discussed in this book were taught to Wayne first hand by master improvisors such as Barry Harris, George Coleman and Jackie Mclean. The book also includes some devices that Wayne has come up with over the years to facilitate comfort in playing through chord changes. 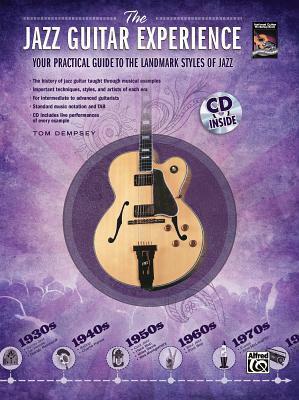 Tom Dempsey – The Jazz Guitar Experience: A quick guide to jazz styles through the years (Book & CD) Take a trip through the history of jazz with The Jazz Guitar Experience. 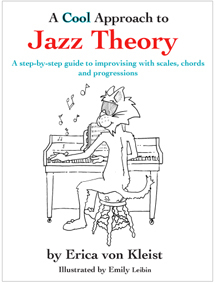 Designed for intermediate to advanced guitarists who are already comfortable with the basic chordal and melodic vocabulary of jazz, this concise, comprehensive overview of important styles, techniques, and artists covers every era of the genrefrom gypsy jazz and cool jazz to bebop, fusion, and modern jazz. You will also learn about other styles that have influenced jazz music along the way, such as bossa nova and the blues. Exploring the history of jazz will give you a greater understanding of the jazz music of today, and youll learn to apply many practical skills to your playing for completely authentic performances. Youll become a more versatile and well-rounded guitarist, able to handle a wide range of musical situations. So break out of your comfort zone and experiment with many new facets of jazz with The Jazz Guitar Experience. The CD demonstrates all the music examples in the book.